Retailers also did well Wednesday, led by a 10.8 percent surge in Macy's after the company reported a surprisingly strong quarter. Target added 2.9 percent. Small-company stocks fared even better than the rest of the market. Safe-play stocks like utilities and real estate companies lagged. Abaxis soared 16.2 percent the veterinary diagnostic products company agreed to be acquired by Zoetis. The S&P 500 index rose 11 points, or 0.4 percent, to 2,722. The Dow Jones industrial average climbed 62 points, or 0.3 percent, to 24,768. The Nasdaq composite increased 46 points, or 0.6 percent, to 7,398. Bond prices fell. The yield on the 10-year Treasury note rose to 3.10 percent. Stocks are higher in midday trading as gains in health care companies and retailers outweigh losses in banks and utilities. Consumer goods companies also rose Wednesday. Energy stocks were among the laggards as crude oil prices declined. Macy's jumped 9.1 percent after reporting results that were far better than analysts were expecting. Other retailers also rose. Target climbed 2.7 percent. Abaxis soared 15 percent the veterinary diagnostic products company agreed to be acquired by Zoetis. The S&P 500 index rose 4 points, or 0.2 percent, to 2,716. 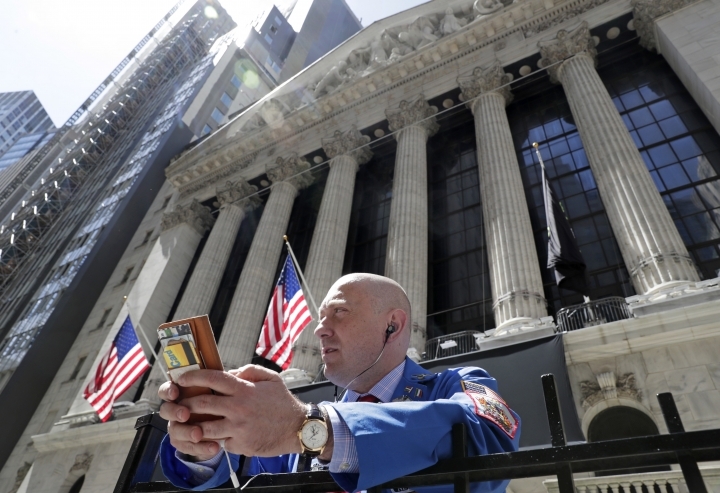 The Dow Jones industrial average edged up 7 points, less than 0.1 percent, to 24,695. The Nasdaq composite increased 25 points, or 0.4 percent, to 7,377. Bond prices fell. The yield on the 10-year Treasury note rose to 3.08 percent. Stocks are edging higher in early trading as technology and consumer-focused companies rise. Macy's jumped 7.6 percent early Wednesday after reporting results that were far better than analysts were expecting. The company said its Bloomingdale's and Bluemercury divisions as well as its flagship store brand all did well. The S&P 500 index rose 2 points, or 0.1 percent, to 2,714. The Dow Jones industrial average rose 11 points, less than 0.1 percent, to 24,720. The Nasdaq composite increased 10 points, or 0.1 percent, to 7,363. Bond prices didn't move much. The yield on the 10-year Treasury note held steady at 3.07 percent.